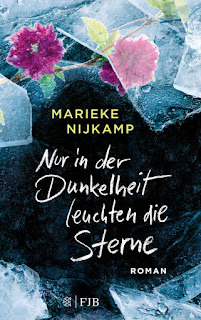 The cover of the German edition of Before I Let Go looks beautiful and cold. But its real meaning became only visible to me while reading. There is one scene that tells you the entire novel in only a few sentences. Shocking sentences. The author shows a story about two girls, who have to realize, that no matter what they do, one of them will never be a part of the village. But the reason behind it, and who the parents of one of the girls were a part of it all, that was the most shocking thing of this novel. How could you do that?! Kyra is bipolar. And since she and her parents know that, her life has changed for the worse. Only her best friend Corey is the reason why Kyra is still among them. She wants to go to another place, learn things, see the world. Lost Creek is a dangerous place for her, she knows that by instinct. After her death, Corey has to learn that the village has not only turned against her but also been a threat to Kyra. And when she finally discovers the truth, she is frightened to death and knows that she has to leave Lost Creek for good. The author´s writing style is fast paced, well written and in a soft tone. I liked reading it at first and was eager to find out what Corey wanted to know. The way how Marieke Nijkamp described the atmosphere, the scenes and showed me the world Corey had once called home, was fascinating though weird to a certain extent. But my feelings started to change the more I read. The psychological component in here is huge. First only like a whisper, later it turns into a loud cry. My thought more and more that Kyra´s parents must have had something awful to do with their daughter´s death, and yes, my thoughts were right. And the reason behind all this? A brighter and better future and feeling for an entire village. This novel is probably one of those, I read during the wrong time. There is a darkness hidden between the pages, something utterly dangerous, that isn´t really helpful during the dark months of the year. You feel it as a threatening shadow but can´t name it until Corey speaks it out. The story goes back and forth while Corey tries to find out, what lead to Kyra´s death. Sure, on top of each chapter you can see where exactly you are, but it was also a bit confusing. And why were there some pages that read like a script for a Broadway play? Should that tell me something? Corey is baffled. She was only about seven months away and already is an unwelcome stranger in the village, she grew up and has lived all her life. She can´t understand how that happened or why. But when she has to learn the bitter truth that they literally let her rather burn to death instead of helping her find out the truth about her best friends´ death, she understands that Lost Creek is a village where nothing is as it seems. The peace she felt for years while living at her old home, is shattered the moment she sees the burned place. On the other hand, she becomes aware of her own strength, that she must do something to stay alive. The author describes Corey as a strong girl and later as a strong teenager. And Corey is, no doubt, very strong. And she sees things, and starts to understand, she´d better never seen. Her conflict, her struggle while being at her former hometown, is brought to the reader in a dark and mysterious way. Fitting. This novel wasn´t for me. Sure, I kind of liked the hidden psychological finesse, and the truth behind all the drama was shocking. But I couldn´t connect with it to find it thrilling or a great read. And maybe that is the reason, why I am struggling to write this review. I still don´t understand how parents can do what Kyra´s did. And because of that, I suggest you read this novel yourself, judge for yourself if you like it or not. I can only rate it as average. Sorry. *This book was kindly provided to me by Fischer FJB in exchange for an honest and unbiased review. Thank you. Therefore, the cover of the German edition is shown first in this review. 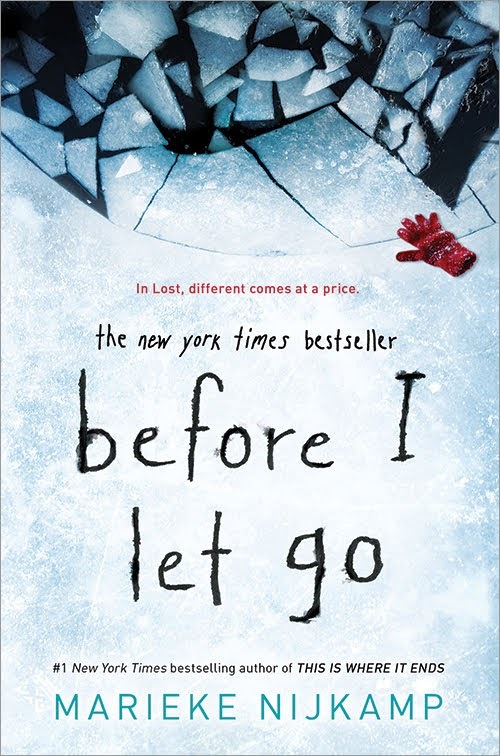 The title was originally published Before I Let Go by Sourcebooks Fire on January 2, 2018. 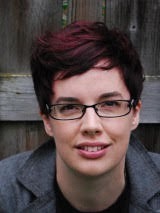 Marieke Nijkamp is the #1 New York bestselling author of This Is Where It Ends and Before I Let Go. She is a storyteller, dreamer, globe-trotter, geek. She holds degrees in philosophy, history, and medieval studies has served as an executive member of We Need Diverse Books, and is the founder of DiversifYA. Marieke Nijkamp speaks twelve languages and her first novel This Is Where It Ends was a surprise hit in the US and for over a year in the Top 10 New York Times bestseller list. She lives in the Netherlands.